If you insist on dragging a jar of pennies into Pio Market to pay for your purchases, that’s fine with owner Neal Butler. Just don’t expect him to count it. Butler sells a variety of penny and nickel candy, in addition to other goods, so he sees plenty of shiny coins rolling across his counter. It’s not uncommon for customers to crack open their piggy banks. “Sometimes, that’s the last money they have,” Butler says. “If they have a ton of it, we ask them to count it ahead of time. We’ll have people bring $8, $10, $12 in change and dump it out. Our counters are big, there’s enough room for them to count,” he says. Here, the penny is alive and well. That’s despite another national debate about its usefulness. How long will the one-cent coin hold its value? Though historically the penny had been profitable for the U.S. Mint, it now costs more than a penny to make a penny (the same is true of the nickel). Actually the penny is more than 90 percent zinc, with a bit of copper mixed in for color. 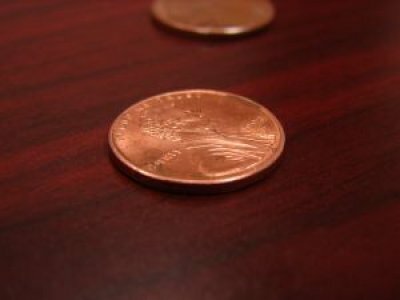 There are more pennies produced each year, by far, than any other coin. From January through September of this year, about 6.7 billion of them were made, according to the U.S. Mint. We need the penny because it still has economic, historic and cultural value, says Mark Weller, executive director of Americans for Common Cents, a coalition of businesses, charities and coin collectors who want to preserve the penny. “The penny is so embedded in our economy and communities and the social fabric of society. There really has to be a pressing need to change it. There is no pressing need. The negative effects outweigh the positive,” he says. In the eyes of some, pennies make the world go ’round. Surveys have shown that a majority of Americans support keeping the penny. “Consumers lose without the penny. The alternative is rounding purchases to the nickel – that simply can’t be done fairly. You’d be rounding up 60 to 90 percent of time,” Weller says. And he argues, the loss of the penny would hurt some charities that depend on collecting coins as a major part of fundraising drives. But Ralph Townsend, chair of the economics department at Indiana University-Purdue University Fort Wayne, thinks the penny eventually will disappear from our currency the same way its cousin, the half-penny, did. “Basically the issue is, when is the bother of handling the coin greater than its value. … Penny bowls at checkout counters make it pretty clear that people increasingly find the penny a nuisance,” he said in an e-mail. “The mechanical issue is fairly simple: People round, and it’s not very important. For example, gas is sold at $2.24.9, and we don’t even think about whether we owe $10 or $10.01. “There would be a short adjustment period if the penny disappeared, but after a year or so, no one would notice. … I don’t expect it to disappear immediately, but I would be surprised if it is still around in 2050 or 2100,” Townsend says. Getting rid of the penny requires an act of Congress and the president’s signature. Read the rest at the Journal Gazette.